Philanthropy Awards Nomination Deadline extended until April 30. 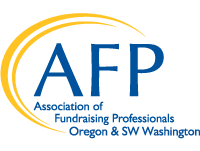 Did you miss the AFP April Membership Meeting? Please send your questions, comments and feedback to:webinars@campbellcompany.com. Thank you to our livestream sponsor!